Saturday Night Live's much-hyped 40th anniversary special hadn't even reached the halfway mark of its mammoth 3 1/2 hour running time, when the internet blogs, live tweets, and Yahoo! news articles began their commentary. Betty White kisses Bradley Cooper! 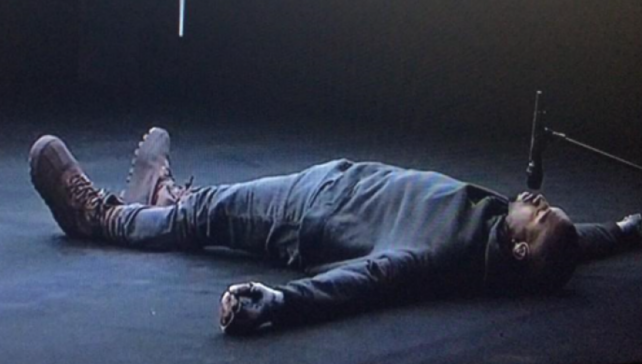 Kanye West sings from the floor! And Eddie Murphy--WTF?! The television extravaganza had more star-power packed into its running time than three Oscars combined, with over 100 big names--all cast members, hosts, or musical guests who had been on the program--sitting in the audience, watching as their fellow stars congratulated themselves for contributing to the longest-running and most successful comedy institution in American TV history. SNL has become such a benchmark for our culture--it is literally the axis upon which our pop culture has spun for the past four decades--that even amidst its excessive bloat, the special made for compelling viewing. Of special interest to most of the commentators was a rundown on who sparked laughs and who bombed spectacularly: Will Ferrell and Darryl Hammond got props for their reprise of Celebrity Jeopardy; Bill Murray struck gold in character as 70s lounge singer Nick Ocean discovering the long-lost lyrics to the Jaws theme; the 93-year old Betty White rescued a below-average Californians sketch by locking lips in a passionate make-out session with Hollywood hunk du jour Bradley Cooper; Eddie Murphy's eagerly anticipated appearance amounted to a mere 73 seconds of screen time, in which the comedian looked like he wished he was anywhere else; and Jerry Seinfeld fielded both hilarious and awkward questions from some of the big names in the audience. This author's personal favorite sketch was a reprise of the Wayne's World cable access show, which featured a running gag referencing Kanye West's hubris at the Grammys the week prior. The musical guests also included Kanye, who doubled down on his megalomania by preferring to rap while lying on his back, a move predictably hailed by Rolling Stone the next day as performance-art "genius". Miley Cyrus performed an adequate if low-key cover of Paul Simon's "50 Ways To Leave Your Lover", but at least decided to keep her outfit semi-tasteful and her tongue in her mouth. Paul McCartney, winded from a nearly three-hour concert in front of invited guests the night before, massacred his classic "Maybe I'm Amazed" with a labored, cracked vocal. Finally, Paul Simon closed the proceedings with an appropriate if overly-sentimental "Still Crazy After All These Years"; unfortunately it seems as if the septuagenarian rocker is also losing his voice. 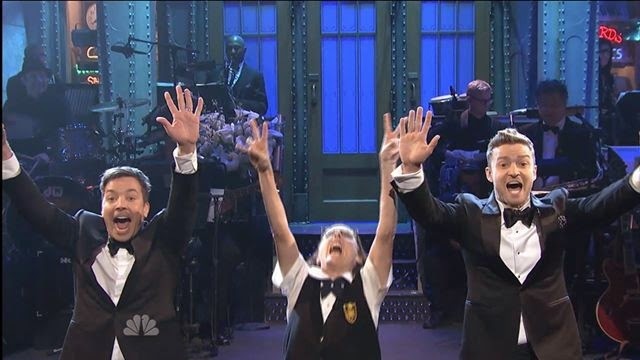 While great musical guests have always been a bedrock of SNL's legend, the subpar performances last night could have been easily discarded in favor of highlighting more sketches and characters from the program's rich and varied history. If there was one overriding impression from the event, it was that too much was being crammed into a 3 1/2 hour time slot that still seemed too short; classic characters like King Tut, Debbie Downer, and Matt Foley were relegated to 30-second cameos, barely enough to register a brief laugh of recognition before moving on to the next one in the grind. 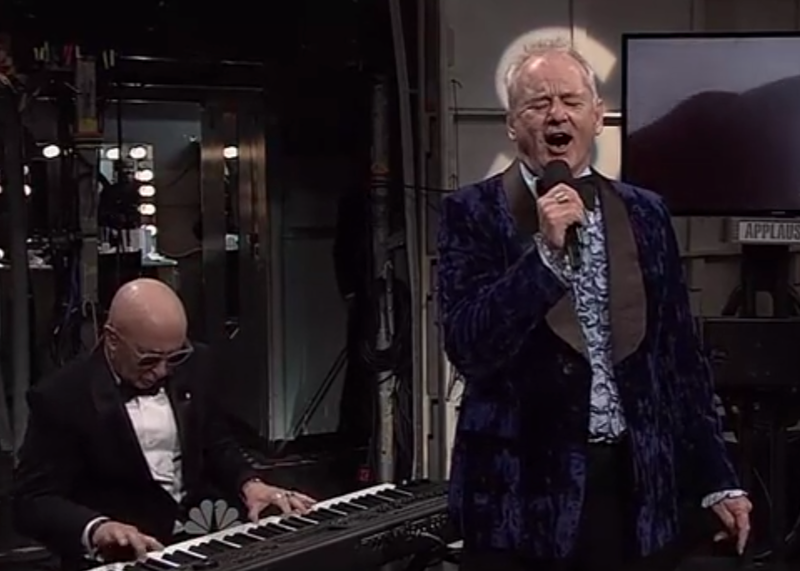 While it was fun seeing every generation of SNL performers--from Chevy Chase to Cecily Strong--sharing the stage together, there just wasn't enough time to showcase anyone adequately. 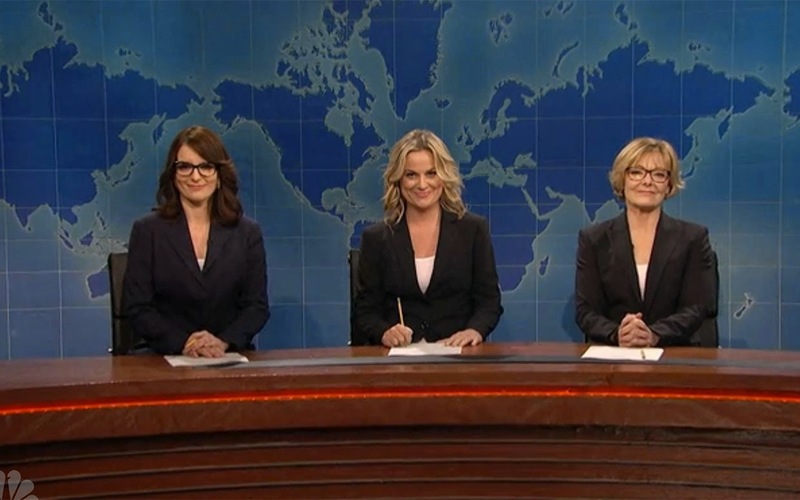 This was made acute during the special's Weekend Update segment, which lasted barely six minutes in spite of featuring a killer anchor lineup of Tina Fey, Amy Poehler, and Jane Curtin. The verdict: the highs and lows, gaffes and surprises, bombs and triumphs of the special very much mirrored a typical SNL episode--which at least somehow seems appropriate.